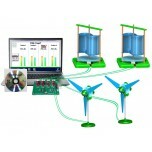 Wind power is the use of air flow through wind turbines to mechanically power generators for electricity. Wind power, as an alternative to burning fossil fuels, is plentiful, renewable, widely distributed, clean, produces no greenhouse gas emissions during operation, and uses little land. Wind power gives variable power which is very consistent from year to year but which has significant variation over shorter time scales. 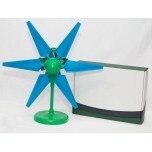 It is therefore used in conjunction with other electric power sources to give a reliable supply. 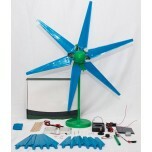 The Horizon Wind to Hydrogen Science Education Kit (FCJJ-56) enables students to invent their own.. 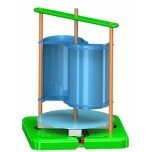 The Alternative Energy Educational Lab is the most comprehensive of all our Energy Education offe.. 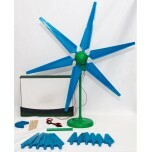 The Savonius Wind Turbine is a portable, lightweight and durable DIY savonius wind turbine. Featu.. 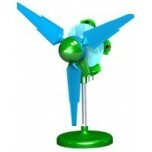 The Sky-Z Limitless is the largest member of our Wind Turbine family. With powerful curriculum co.. 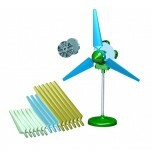 The sky's the limit with PicoTurbine's SKY-Z Limitless Wind Pitch Education Kit, the ultimate win.. 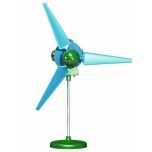 The Sky-Z Mini is the smallest member of our Wind Turbine family. 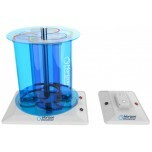 With powerful curriculum compon.. 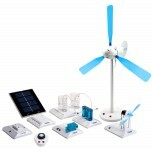 The SKY-Z Mini Wind Education Kit packs all of the fun and learning generated from the SKY-Z prod.. 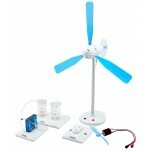 The SKY-Z Wind Education Kit - Basic is the perfect introduction to wind energy. Recommended for .. 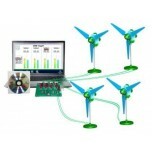 STEM Plus Playoff 4 Pack - 2 SKY-Z Mini & 2 Savonius interface allows up to 4 alternating pow.. 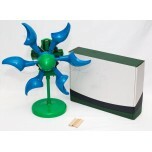 STEM Plus Playoff 4 Pack - SKY-Z Mini interface allows up to 4 alternating power sources to be co.. 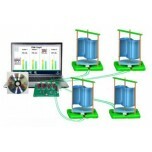 STEM Plus Playoff 4 Pack Savonius interface allows up to 4 alternating power sources to be compar.. 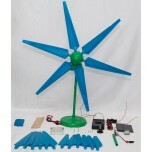 The Vertical Axis Wind Turbine Science Kit is the most comprehensive wind energy educational prod..